After working in the human health filled for a few years I decided I needed new challenge and chose to combine my love of science & animals by studying a Bachelor of Veterinary Science. 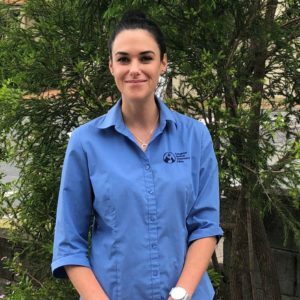 While studying I’ve been lucky enough to work alongside the amazing team at Ashgrove Avenue Vet Clinic as a weekend vet nurse. My fur family consists of an energetic Spoodle, a snoozy Great Dane Cross and a mischievous kitty whom are all the loves of my life.